In 2015 AgustaWestland celebrated a centenary of UK aircraft production. As part of these celebrations a special centenary award was presented at a private AgustaWestland evening reception held at the annual summer exhibition of the Guild of Aviation Artists. 453 paintings were on display by 150 different artist. 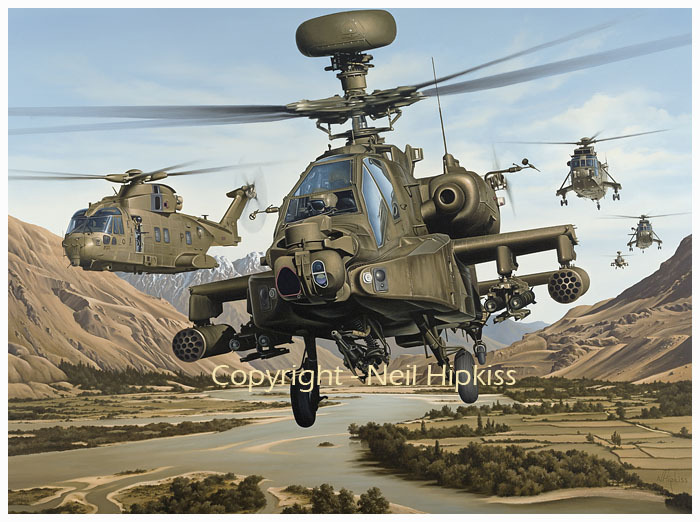 74 works were Westland themed and eligible for the Westland Centenary Prize so I was very proud to have my painting 'Joint Force' selected as the winner. 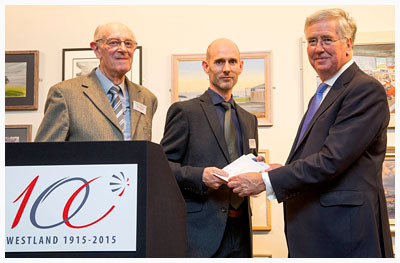 Receiving the Westland Centenary Prize from The Rt Hon Michael Fallon MP, Secretary of State for Defence, during the AgustaWestland centenary reception at the Mall Galeries. 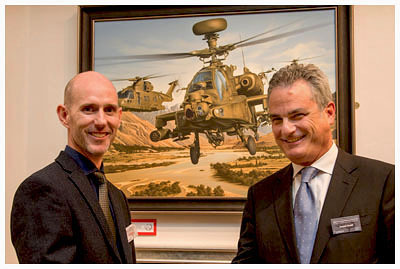 Myself and Daniele Romiti, CEO of AgustaWestland, in front of my prize winning painting 'Joint Force'. 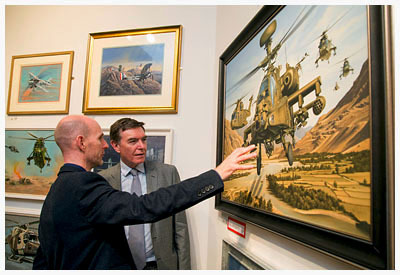 Discussing the finer details of my painting with Philip Dunne, Minister of State for Defence Procurement.. Copyright © 1997-2016 Neil Hipkiss. All rights reserved.